No longer recognized as Accuser, Ronan himself has been accused, tried and stripped of his rank. 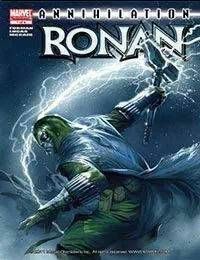 Now Ronan is out to clear his name! Guest starring a host of Marvels biggest cosmic characters!